Regular viewers of the ABS-CBN noontime show “It’s Showtime!” will be very familiar with the repartee between the hosts regarding age. 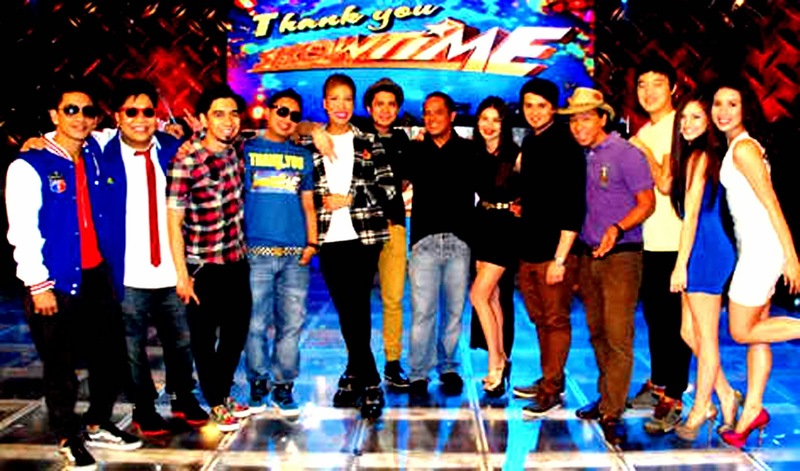 Unfortunately, Kuya Kim Atienza, the oldest among the hosts, is frequently at the receiving end. In fact, any mention of age or something historic or nostalgic is often taken as the cue for the other hosts to begin teasing Kuya Kim. Not only that, sometimes an excerpt from the Itchyworms song ‘Ayokong Tumandâ’ is played for better effect. Kuya Kim, it has to be said, is a good sport; albeit, once and a while, one senses that he is a hair away from losing his temper. Incidentally, Kuya Kim is never apologetic about his age. In fact, he frequently tells the viewing audience how old he is. He turned 47 last Monday, the 6th of January. He was recently diagnosed with the rare Guillain-Barre syndrome; but has been known to be fit and very much into sports and the outdoors. While the repartee about age can be fun to listen to – although it can just as frequently sound tiresome and repetitive – the frequent attempts of the show’s three elder statesmen to conceal their age is rather puzzling. The second most frequent object of these age jokes is none other than Vice Ganda himself. The irony is that the age jibes frequently come from Vhong Navarro and Jhong Hilario. As Vice loves to point out, Jhong is just a few months younger than him while Vhong is almost a year younger. All the self-denial about age, I suppose, comes with the territory. While admittedly having talent gives one an edge in show business, looks are better assets to have. God knows we have a glut of actors who are all looks and no talent. Because time takes no prisoners, it is therefore the number one public enemy of good looks. Small wonder then that age, which most of us ordinary people take as a matter of course, is a major-major concern of those in show business. Last Saturday, for instance, during the birthday celebration of Navarro on-air, Vice hilarious declared that he has no plans to grow any older than 38. The truth is, he is two years away from middle age. After all, what can you not find on Google and Wikipedia? Acknowledgment: Top photo from http://www.abs-cbn.com.